Creating spring decor doesn’t need more money actually. 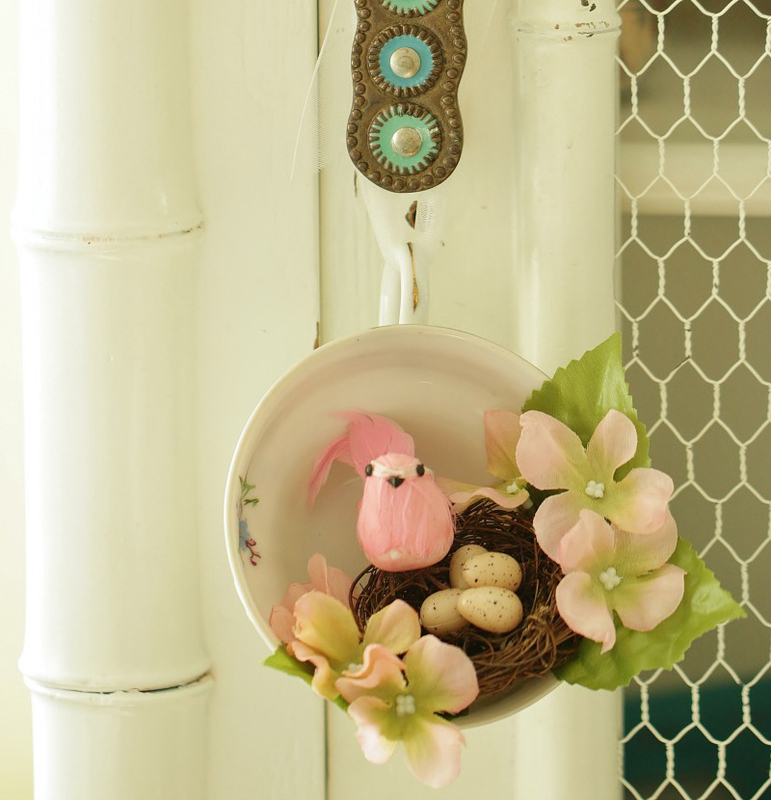 What you need to prepare are vintage tea cup and tiny bird’s nest to create a unique spring decor. Moreover, add little plastic eggs, some colorful fake flowers, fake little bird to look more awesome, and ribbon or lace. When you see many birds fly around your outdoor area, please create bird feeder for them. You only need teacups, spoons, saucers, and a dowel. Put the teacup bird feeder at your garden. Candles are not only functions as room lighting but also home accessories. Using teacup with flower pattern with candles add more beautiful feature for your room decoration. Put them on the desk will improve your dining room beauty. Choose teacups with flower pattern to make your room looks more beautiful. Plant your succulents on it and arrange on the shelves. This simple idea will improve your bedroom decoration with some green plants that look fresh. Do you want to add something unique for your wall decor? Try this hanging teacup wall art to fulfill your wall. 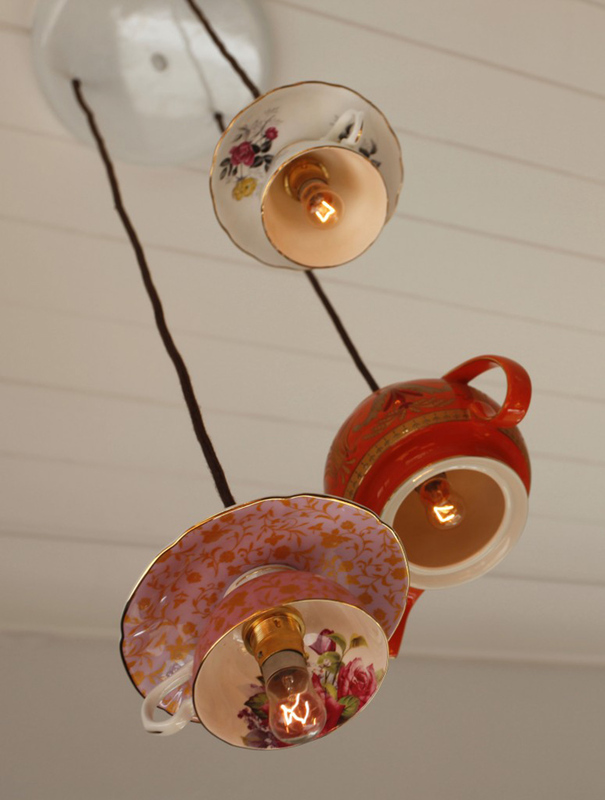 Just glue the teacups with saucer and hang it on the wall along with other wall accessories. Repurpose teacups for planters look awesome for your porch decor. You only have to hang the teacup that already filled with green plants at your verandah. Let the plant grows well with enough sunlight every day. Just mix and match teacups pattern to create an amazing teacup pedestals like the picture. Fill your dining room with this simple but inviting decoration. You can create wonderful pendant light by using teacup. First, make a hole under the saucer and so with the cup. After that, add the wire and the bulb. Hang them on the ceiling, for example at your dining room.